If you have read enough of my blog, you know that I hike for many reasons. Although the physical benefits are obvious, the ones that aren’t many times are the positive ones that you receive that are psychological in nature. After a good day, bad day or indifferent one, hiking offers the mental cleansing I need to keep moving forward, both literally and figuratively. 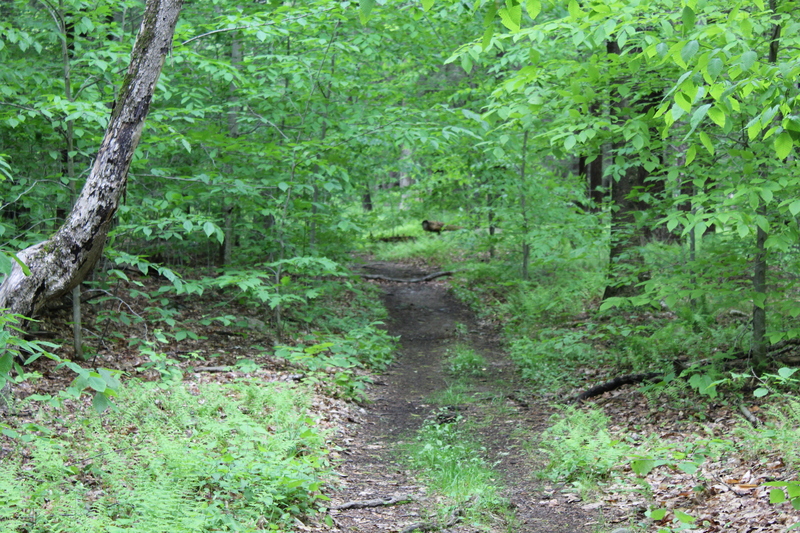 Recently I have been researching the Labyrinth as a form of walking meditation and I think I have found parallels to what I experience when I am out in the woods hiking, especially a trail that I discovered several weeks ago in Ward Pound Ridge Reservation. When I read the definition above, I couldn’t help but think of The Red Trail at the Ward Pound Reservation. At about 5 1/2 miles, the trail offers a varied enough terrain to allow for the same benefits that have been found with traditional labyrinths. Flat earthen surfaces combined with multiple short rocky climbs allow the hiker to find solace in the journey that they are taking. The trail has enough twists and turns as you make your way around the park to keep things interesting. The most beautiful thing about this trail is that built within the loop are several other trails or connector trails that can either lengthen or shorten your journey. A little more than half way through the hike is a nice set of rocks that although during the summer do not offer many views, will be absolutely magnificent in the fall and the winter. You can sit on these and reflect on where you have been and where you are going. It is also a great place to eat lunch if you choose to do so! The differences in a traditional Labyrinth and what I have described above are obvious. With that said, you can use what you have at your disposal to help achieve the peace that you are either looking for or trying to maintain. This entry was posted in Uncategorized and tagged hiking as meditation, Hudson Valley Hiking, Inner Peace, jeff bridges, labyrinth, labyrinth quotes, meditation, peace, rebecca solnit, red trail, walking as meditation, walking meditation, ward pound ridge reservation on September 3, 2017 by The Zen Hiker. Thank you very much for the kind words!!! !